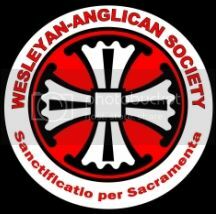 Gloria Deo (Wesleyan-Anglican musings): Methodists and Apostolic Succession? "Apostolic Succession" has been one of the much-debated concepts within the Christian world. All agree that Apostolic Succession has to do with guarding the "faith once delivered to the saints" (Jude 3); the faith taught by the Apostles of Jesus Christ and handed down to us. Many teachers working in the Protestant traditions argue that Apostolic Succession refers only to the process by which the pure teaching of the Apostles is transmitted from one generation to another. 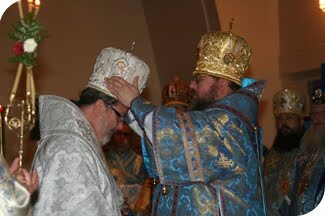 Various forms of institutional structure could affect this transmission and a bishop-to-bishop lineage is not necessary for apostolic succession to exist. Roman Catholics, the Eastern Orthodox, Anglicans along some Lutherans and other Protestants, on the other hand, argue that Apostolic Succession is the transmission of authentic teaching and authentic leaders through a lineage of authentic bishops whose lines descend from the Apostles. That is, the Apostles trained and ordained bishops to replace them, who then trained and ordained other bishops, and so on, right down to the present day. The only valid ecclesial ministry is that ordained by and working with these bishops. 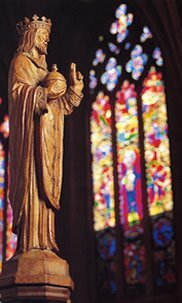 We can see the early forms of this idea right back in St. Irenaeus' teachings against the heretics: (paraphrased) 'We can be sure we have the authentic faith because we have the authentic bishops who learned from those who learned from the Apostles' (see Against Heresies, Book III, chp. 3; ANF v.1, p.415). The succession of bishops, valid clergy orders, valid sacraments, and the succession of teaching, in this conception, are all inseperably conjoined. For this reason, many in these groups would look at those Protestant Churches that lack this 'historic episcopate' as, at best, 'incomplete' Churches, or (at worst) not churches at all. Certainly the validity of their ordinations and clergy are suspect. Though this teaching appeals to me on one level because it secures more continuity with the Ancient Church, I have never been able to discount the manifestly holy lives of so many genuine Christians in the non-'Apostolic Succession of bishops' churches. Indeed, in my personal experience it often seems that real zeal for Christ, manifestly holy lives, love of God and of his Word are all more likely to be found among the laity in these non-episcopal Succession churches. And "you shall know a tree by its fruits" (Mt. 7:16 ff). On the flip side it is obvious that whole churches, while maintaining the historic episcopate, have nevertheless diverged on matters of important doctrine (as seen, for example, in the rift between Roman Catholicism and Eastern Orthodoxy over Original Sin and Papal authority). The existence of an historic succession did not of itself ensure doctrinal harmony. Yet it remains true that the great majority witness of the Church today, and across the ages, has held that the Apostolic Succession of bishops is an extremely important mark of the Church - part of what it means to be "apostolic" as we profess in the Nicene Creed. The first is to argue that apostolic succession is not limited to bishops alone but (contrary to the teachings of the historic episcopate churches) is passed along through all ordained ministers together (bishops, elders, and deacons together) or through a presbytery. Many early Methodist leaders were ordained Anglicans and a few ordained ministers did participate in the ordinations of Thomas Coke and Francis Asbury as our first bishops, therefore the succession of ministers is maintained all the way back to the Apostles. There are apparent Biblical instances (see 1 Tim. 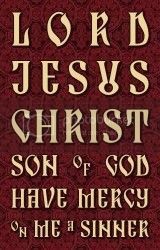 4:14) and perhaps a couple of statements in St. Ignatius of Antioch that might be read this way (compare for example Letter to the Trallians, 7 with Letter to the Philadelphians, 7, with Letter to the Smyrnaeans, 8-9). Whatever its merits, this approach will be a hard sell to our ecumenical dialogue partners in the historic episcopate churches. The second approach is to argue that the Apostolic Succession of bishops can be, and on occassion has been, transmitted through elders/presbyters in unusual or emergency situations. The succession normally proceeds from bishop to bishop, however, in certain instances where the death of a bishop made this impossible, groups of elders have consecrated new bishops, who in turn have been recognized as legitimate by the broader catholic Church. We read of one example of this in the Ancient Church in St. Jerome's Letter CXLVI when he describes the episcopal succession of the city of Alexandria. Thus, considering the unusual historical circumstances of Christians in the American colonies cut off from valid sacraments, Fr. John Wesley's action in consecrating Thomas Coke was irregular but not invalid, and the United Methodist Church enjoys a valid succession to this day. With both preceeding arguments it might be added that in the Scripture and the early literature, there seems to be some interchangeability or overlap between "prebyter/elder" and "episcopos/bishop" though they are clearly seperate offices by the late Second Century. The final, and most intriguing, argument put forward by some Methodists (and indeed, in the 19th Century, by some Anglicans as well) was that John Wesley himself had been secretly consecrated as a bishop by a Greek Orthodox Bishop named Erasmus of Arcadia, and that Wesley's consecration of Dr. Coke was perfectly consistent with the ancient and ordinary pattern. The reason for the secrecy was of course the British law (at the time) forbidding ecclesiastical "interference" from foreign bishops, since the English King was the earthly governor of the Church of England. I first read of this argument a few years ago as put forward by Gregory S. Neal, a high-church Methodist pastor. I recently ran across it again from the well-known and widely-read evangelical Methodist blogger, Shane Raynor, who points out that, if any record substantiates this account (in the eyes of our ecumenical partners) that Bishop Erasmus did in fact make Wesley a bishop in the Orthodox lineage, it would have tremendous ecumenical consequences for United Methodists, in particular with our relations to the Anglican, Orthodox, and Roman Catholic Churches. There would presumably no longer be any question whatsoever of the validity of our clergy orders and at least one great obsticle to full communion with these other catholic Communions could be obliterated. I suppose we now need only wait for some intrepid scholar - probably not unlike Indiana Jones - to scour the ancient ecclesiastical libraries of Arcadia (if there be any) to learn the truth. I would do it, but my Greek isn't good enough right now. Plus I've used most of my vacation time for this year. Does anybody know if that episcopal see has remained in continuous existence since the mid-18th Century? Great post on Apostolic Succession. Coming from the Orthodox Church, we hold to Apostolic Succession both as a physical link to the lineage of bishops back to the Apostles and thus to Christ Himself, as well as to the unchanging teaching of the Church. We would affirm that any who stop teaching the faith as described in the "one, holy, catholic, and apostolic Church" while they might maintain the physical link do not have the Apostolic Succession in its fullness. Fr. Philip's comment raises the old ecumenical question: how much doctrinal agreement is necessary for churches to be in full communion? Are we talking common adherence to the Nicene Creed (it being "the communion creed" of the ancient and ecumenical church)? We already share that much. A common canon of Biblical books? Or a common understanding of the sacraments and the church? A common understanding of how Justification is to be explained? An identical liturgy? It seems there comes a point where we could ask too much, demanding conformity on issues on which there might be legitimate diversity of biblical interpretation or practice (eg. how should clergy dress?). My thought is that the Chicago-Lambeth quadrilateral puts forth the bare minimums necessary for unity or full-communion (though I might add the Chalcedonian definition to the Nicene and Apostles creeds). Wasn't Irenaeus using succession as a defense against heretical sects? So pointing to the line of bishops -- which was only a couple links long, back then, to get to the apostles -- must have carried a great weight back then. But just a couple centuries later, the essentially orthodox (?) Novatians had no problem thriving apart from Rome's episcopate. And nowadays, the links seem less credible, due to the baggage of church history, perhaps. Offhand, I see four institutions -- Coptic, Orthodox, Roman, and Anglican -- which endorse the idea, seem to be essentially catholic and orthodox, and yet are not in full communion. To me, that indicates the concept's power has eroded significantly, and perhaps was at best a temporary defense. Being the high churchman that he was I could see the concept of Apostalic Succession being very important to Fr. Wesley (after all that's what he was known by "Father" Wesley) and I have always wanted to believe that he sought out ordination as a Bishop in the Eastern Orthodox tradition. I've always wondered why that particular tradition. I know that Eastern Orthodoxy influenced John Wesley's theology quite a bit (as did many other traditions), perhaps that is the reason??? To entertain or to edify?